At nearly 400 years old, Hartford is one of the nation’s oldest cities, with a rich history that includes important moments from the American Revolution and the abolitionist movement. Here you can step back in time by visiting the homes of Mark Twain, Harriet Beecher Stowe, and other important historical figures. 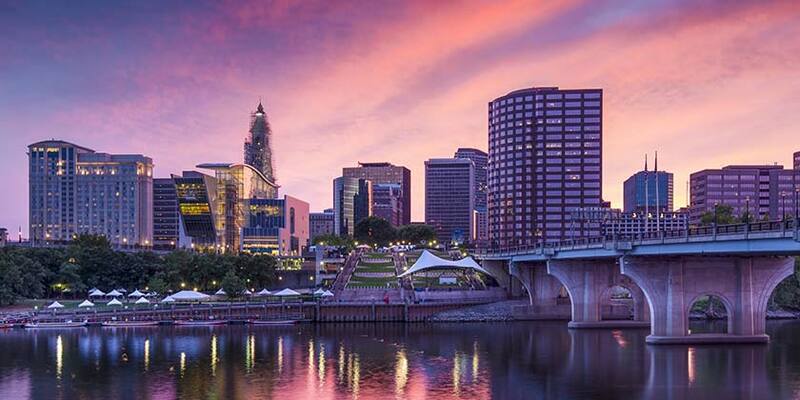 And travelers will find a modern flair in Hartford, including a thriving arts and culture scene, a huge variety of restaurants and bars, and the incredible interactive Connecticut Science Center. In Hartford, visitors will experience a unique place where the weight of history fuses with the excitement of the future.